Hot fun in the wintertime. 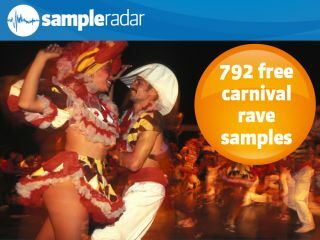 UK users may be in the midst of an early bleak midwinter, but SampleRadar is here to warm things up with a sizeable collection of sun-kissed carnival rave samples. To expand a little more, these sounds are tinged with ragga, reggaeton, breakbeat, house and basement flavours: click the download button and get the party started. The carnival rave samples are supplied in a zip file, so you'll need to extract them before you can see them. Enjoy!